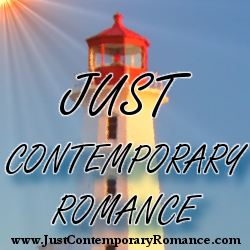 Just Contemporary Romance: What makes a book funny? What makes a book funny? There are so many forms of funny out there almost nothing is going to hit everyone’s funny bone. Some people immediately think of slapstick or the shenanigans of Monty Python are funny. Some prefer America’s Funniest Home Videos. Some love cats that fall off dressers or get stuck with their heads in cardboard boxes. But most of those are visual. What about in a book? I personally find things that I can relate to funny. Like the woman who looks in her closet that is filled with a ton of clothes and can find absolutely nothing to wear. Or a situation that maybe I’ve been in before and could only laugh about later. Not feeling alone in our struggles can make something funny to you. I like to put humor in my contemporary romances because life is just easier if you can laugh at it. Dinner burned in the oven and you have to call in a pizza? Well, you can choose to cry about it or laugh about it. A kid who will not, for life or money, take a bath unless you sing him the Sesame Street Song? Tears or make it a romp. My heroines often find themselves in situations where they have this choice. Sometimes they do cry about it until they can find the humor. Sometimes the humor might be forced until they truly can look at the situation as a whole and giggle. Sometimes they love enough to smile indulgently over something that a month ago would have made them pull their hair out and run screaming down the block. It’s often said that life is what you make it. I choose to make it funny. Not at the expense of others, never tearing someone down to make a laughingstock of them, but to find the humor in getting stuck on an elevator with the guy you’ve been crushing on for months or having to ask your best friend to get you unstuck from where you fell into the dryer. Do you have a way of coping with life’s ups and downs? I’d love to hear it! Making Room at the Inn – Out Now! Single mom Chelsea Moore may not have had a happy marriage herself, but she's bound and determined to pull off the wedding of the year for her sister. It should be a piece of cake as long as she can keep her mother from trying to hook her up with every eligible guy in the county. Jack Barton has no qualms about hosting his sister's best friend for the final week before the wedding, along with said best friend's adorable daughter. But when Chelsea asks him to be a shield against the impending bachelor parade, he doesn't think it through before agreeing. That's when he finds out how little it feels like pretend and how much he wants to make room for these two wonderful females in his life and at his inn. You do have a talent for making people smile. I think every study ever done points to laughter as a reliever of stress. Our family laughs a lot and it has helped us get through some losses over the years. I completely agree, Susan. And it may be hard to laugh at first but most times you get there. Have a great day!